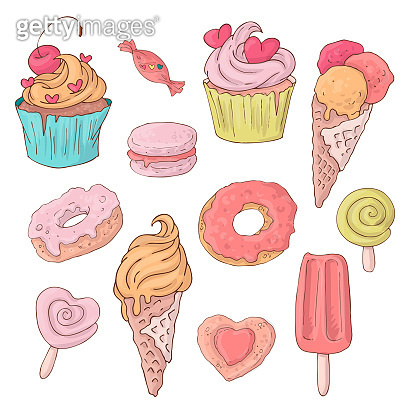 Set of cute cartoon sweets for Valentine s Day with accessories. Set of cute cartoon sweets for Valentine s Day with accessories. Vector illustration. Copyright gettyimagesbank All rights reserved.